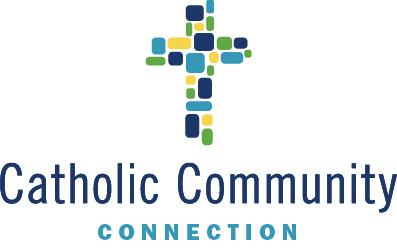 Cleveland, Ohio, April 30, 2018 – Catholic Community Connection (CCC) is pleased to announce that it is filling 8 Summer Fellow positions for the CCC 2018 Summer Fellows Program. Established in 2017, this program provides seven college students a real world paid work experience at a Northeast Ohio Catholic ministry. The competitive application process includes essay writing and a series of interviews. Qualified candidates are currently enrolled sophomores, juniors, seniors at Borromeo Seminary, John Carroll University, Notre Dame College and Ursuline College. The CCC Summer Fellows Program, originally implemented in 2017, is a collaborative effort between the leaders of Borromeo Seminary, John Carroll University (JCU), Notre Dame College and Ursuline College and CCC partner organizations. This innovative program was designed to address the needs of Catholic ministries as they face the challenge of diminishing religious leadership while introducing young adults to careers in Catholic ministry. In a groundbreaking effort, presidents from all four institutions have supported the simplified design and implementation of the Summer Fellows Program. John Carroll is a private, coeducational, Jesuit Catholic university providing programs of study in the liberal arts, sciences, and business at the undergraduate level and in selected areas at the master’s level. “John Carroll University is delighted that students will be given an opportunity through Catholic Community Connections to participate in summer fellowships. We are grateful that our students will learn key leadership skills while working in Catholic organizations,” says Jeanne Colleran, Ph.D., Interim President of John Carroll University. Dr. Colleran has been a strong supporter of the initiative. CCC gratefully acknowledges John Carroll University for the gift of financial support for a Summer Fellow to serve at Joseph’s Home, a medical respite ministry in Cleveland. Borromeo Seminary, a house of priestly formation in the Diocese of Cleveland, was invited to join the collaboration this year. Men who have been accepted into the Borromeo Seminary program live at the seminary and commute to John Carroll University for several of their classes. “The Summer Fellows Program hosted by Catholic Community Connection challenges students to expand their education from the classroom into the real world. Even more importantly, it gives them experience working alongside committed leaders in Catholic institutions, the model for a life of meaningful service” explained Ursuline College President Sister Christine De Vinne, OSU. Founded by the Ursuline Sisters of Cleveland in 1871, Ursuline was the first Catholic women’s college in Ohio and one of the first in the United States. Today the college continues its mission of transforming students for service, leadership and professional excellence, with programs at the undergraduate and graduate levels. Summer Fellows will work a paid 10-week period (June through August) at a Catholic ministry where they will be partnered with an onsite mentor to provide support and guidance, and learn the legacy of the ministry. This competitive fellowship offers positions in the fields of marketing, communications, development and non-profit management. Logan Vess, Assistant Director – Academic Internships at John Carroll University, and Megan Lowes, CCC Summer Fellows Project Coordinator, are working together to design the “Fellows Fridays” where Fellows will gather and participate in programming that includes orientation to serving in Catholic ministries, professional and leadership development, and elements of social justice. “It has been a great blessing to work with CCC to bring together the 2018 Summer Fellows Program. The students from Notre Dame College, Ursuline College and John Carroll University who applied for the Summer Fellows Program have not only impressive backgrounds, but a commitment to working in an environment, which embraces the Catholic faith. Each of our partnering organizations participating in this year’s Summer Fellows Program is fortunate to have the opportunity to work with these students, as the students are the next leaders of our community to share their gifts and embrace the opportunity to serve others in various industries in the name of Jesus Christ” expressed Ms. Lowes. The CCC 2018 Summer Fellows will begin their employment June 4, 2018.